Bangor University have been in placed in the Top 10 most sustainable universities for a second year running. Bangor came 8th worldwide and 7th in Europe, appearing alongside only three other British institutions in the Top 10 – University of Nottingham, Nottingham Trent and Oxford. 719 universities from 81 countries were assessed in forming the Universitas Indonesia League Table, which highlights sustainability and environmental management at universities around the globe. Universities are judged on the following criteria: Setting & Infrastructure, Energy & Climate Change, Waste, Water, Transportation and Education & Research. Notably, Bangor achieved maximum marks for Education & Research due to the University’s commitment to sustainability education and research. Bangor also scored the highest for Transportation in the Top 10 as a result of the University’s vast pedestrian areas and limitation of motor vehicles on campus. “This is a campus-wide team effort. Driving environmental improvements and resource efficiencies throughout the organisation is a challenge without end and one that requires all of us to join in. “We recognise that sound environmental management is essential to our aim of developing and applying innovative ways of integrating consideration for sustainability and the well-being of future generations into everything we do, through our research, our teaching and our own supply chain”. This accolade comes only a few weeks after Bangor University announced the installation of 160 solar panels on the roof of Bangor University’s Main Arts building. 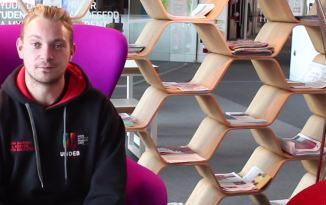 Bangor University’s Students’ Union, Undeb Bangor, has also focused on sustainability by hosting Waste Awareness Week and running a plastic reduction campaign. 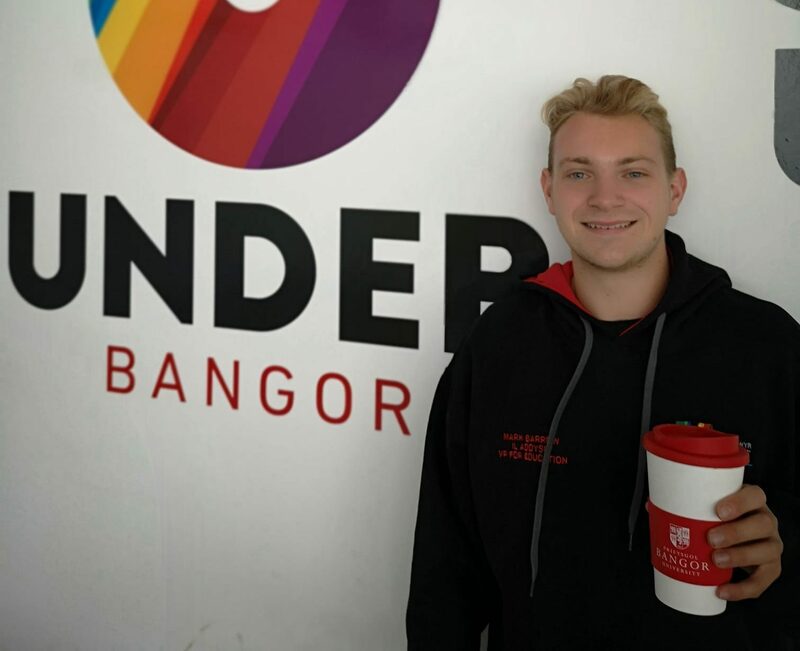 Vice-President for Education, Mark Barrow, holding reusable Bangor University cups in aid of Undeb Bangor’s Plastic Reduction Campaign. “Sustainability is something students are increasingly passionate about, and that particularly seems to be the case in Bangor. This rating coincides with campaigns I have been working on, particularly the Student Union’s plastic reduction campaign.